Meet New York Yankees legend Bernie Williams, and sign up for a chance to win a “VIP Yankee Experience for Two”, sponsored by Armitron, America’s Watch—the official watch of the New York Yankees. VIP Experience includes: 2 tickets to a game, private tour of Yankee Stadium and Monument Park, 2 Yankee jerseys, watching batting practice from the field, dinner for two, and other great Yankee gifts! 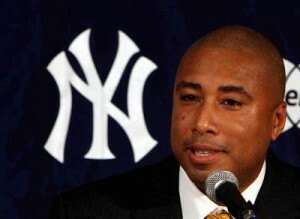 Bernie Williams will be available for photographs and autographs.